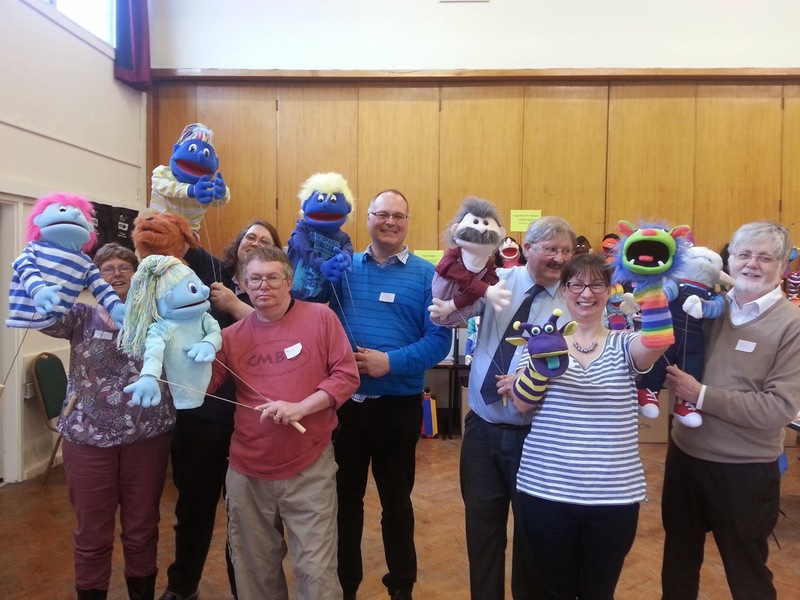 Today seven people from our church had a fantastic time at a puppet workshop that was run by One Way UK Creative Ministries who had travelled from Grimsby to Wisbech to run the event. They were joined by others who had travelled from Market Harborough, Bury St. Edmonds and Huntingdon as well as a few other locally based people. The workshop was captivating and excellently presented along with opportunities for attendees to have a go on the various types of puppets. They also learnt skills such as: synchronisation; dance routines; the seven basic principals of puppeteering and puppet manipulation. The rage of uses where puppets can be used as part of church ministry include (but are not limited to): Street evangelism; work in care homes with the elderly; children's ministry and as part of a church service. Several puppets were bought by the church and I am sure they will be making an appearance in a service soon. If they do we will be sure to capture their antics on video - so check back here on our blog to watch!